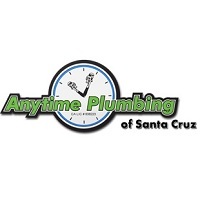 Anytime Plumbing of Santa Cruz has been Santa Cruz County’s top residential and commercial plumbers for the last 10 years. We offer same day service and emergency 24 hour services in Santa Cruz county including Scotts Valle, Capitola, Soquel, Aptos, Watsonville, Felton and neighboring areas. We offer top notch leak detection, toilet repair, drain clearing/unclogging, water heater installation or replacement, slab leak fixes, sump pump repairs, radiant heating and cooling panels, hydrojetting, garbage disposal installations, and more. Give us a call to see how we can fix your plumbing issues today!